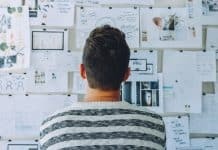 As a self-taught beginner, you might be struggling with finding the best tools to help you learn English. There are so many different options on the App Store and making a choice isn’t at all easy at all. 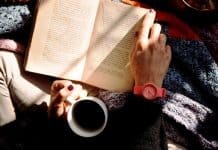 Don’t you worry then, because, in this article, I’m going to share with you the top 5 English learning apps that I believe will help you to master your language skills. What is more, you’ll also find at the end of the post some useful tips to make the most out of these tools. Read on and pick one which fits you best! 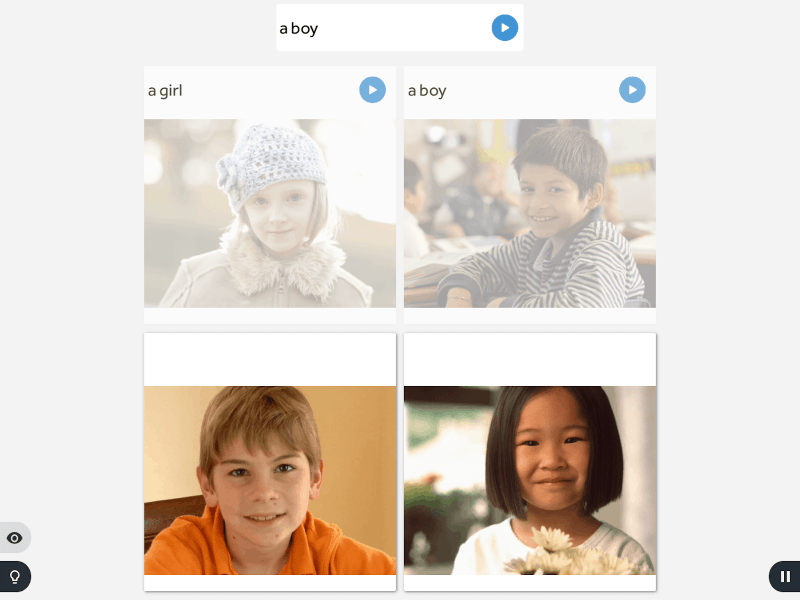 Why learning English with apps is always the best? Highly convenient: One of the key benefits of learning English with apps is that it allows you to practice anytime, anywhere, at your own convenience. You can even revise your vocabulary quietly in your bed before sleep. Moreover, learning some English vocabulary on apps when you have to wait for an appointment or on the bus will keep you calm instead of feeling annoyed or stressed. 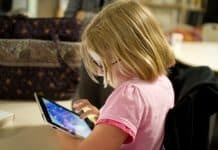 Cost effective: Learning English with apps is definitely a game changer in terms of cost-effectiveness and making language learning available to everyone. Some are completely free, the others will charge you a very small monthly fee to get access to all of their features. Just imagine that the monthly fee you need to pay is equal to the price of 2 Starbucks coffee cups. How cheap! 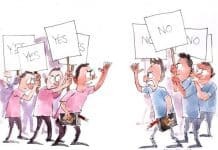 Fun: Yes! Learning English with apps is always fun. 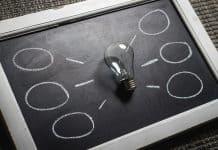 Most of the apps tend to use learning methods that contain images, sounds, videos and games, which is very effective and motivating at the same time. Learning English with apps, as you know, brings a lot of benefits to learners. However, to be able to improve your language skills in the best way, you need to choose the apps that suit your need and English level. 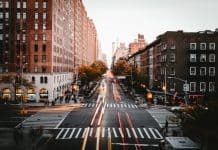 So what is the best English app for you as a beginner? Check out some of the best English learning apps for beginners below and find out! Duolingo is one of the most popular and well-known tools for learning a language online. Each lesson in Duolingo includes different modules (the circles in the screenshot below) which are grouped to form certain skills. Your mission is to complete those modules. 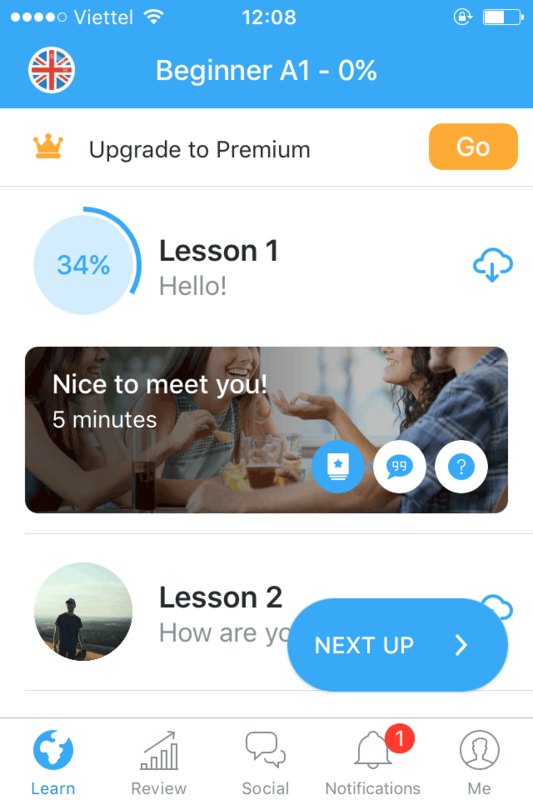 Before taking any lessons, you can test out your English skills with an entry test so that the app can determine your fluency level and give you the most appropriate modules. In addition, you can access additional study options when using the website platform. These include conversations, stories, podcasts that will help to improve your listening and reading comprehension. 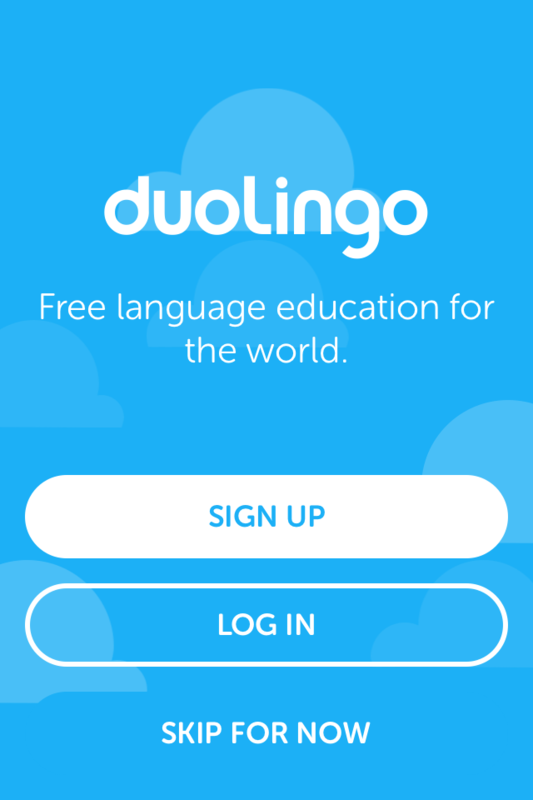 Duolingo also allows you to add friends to the app and challenge them in language study. You can also join clubs on the app to discuss and practice English with other learners. 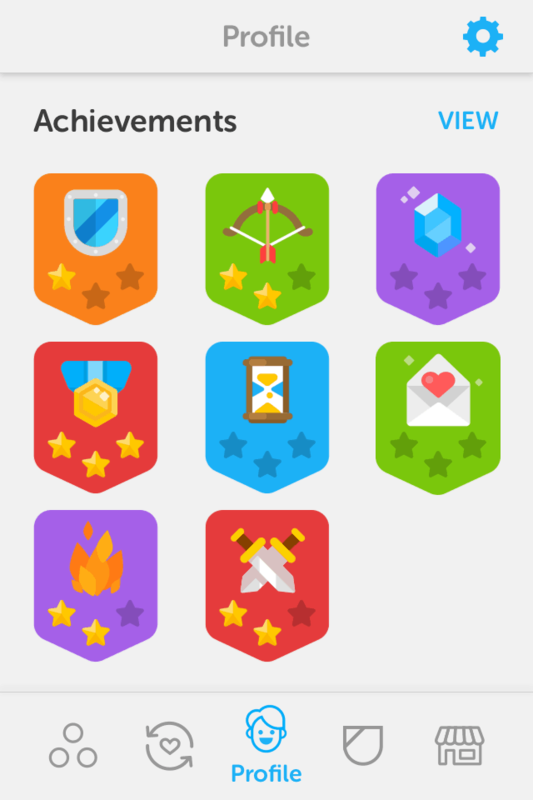 Lessons: All of the lessons on Duolingo are gamified to keep you motivated with English learning. Learners: The app is definitely suitable for those who are independently trying to get familiar with basic vocabulary, sentences and grammar. Lessons: Learners get bored easily after learning for a while because of repetitive and unchallenging lessons. Modules don’t include real conversations for learners to practice. No instant feedback and detailed explanations for every answer. You aren’t able to learn vocabulary in context. 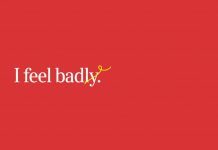 Learning report: You can’t track your vocabulary and grammar fluency, which makes it hard to know which to improve. Interface: Duolingo’s interface is less visual than that of other apps because the app doesn’t contain any real life photos or videos. Give the answer. 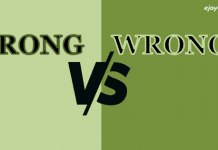 Don’t worry if you give the wrong answers, because making mistakes is an essential part of language learning. You learn from your mistakes, and gradually you will see your improvements. Set your daily goals and try hard to complete those goals. 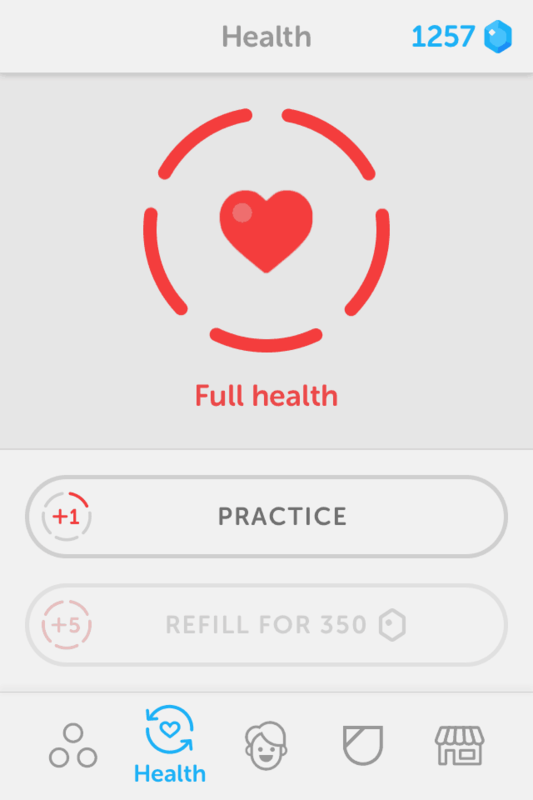 Avoid losing your streak by practicing every day. eJOY English is a multi-platform tool designed to make learning English become a rewarding experience. Featuring more than 10.000 videos of all kinds such as Ted Talks, TV Shows, Online courses, eJOY will surely never disappoint you. With eJOY, you can easily save new words while watching videos or reading news, and practice them regularly with interactive games. 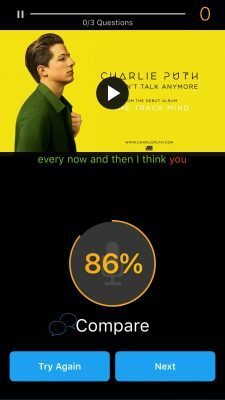 Mobile App (eJOY – Learn English with videos): allows you to practice listening skills and learn vocabulary with 10,000+ captioned videos of music, movies, inspiring talks, and more. Practice speaking and check your pronunciation with Speaking game and track your learning progress at any time. 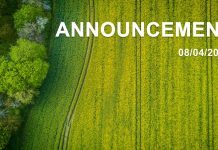 Website (eJOY Go): Improve your English listening, writing and speaking with videos and interactive games; learn English vocabulary by topic (Word Store); enhance your grammar with the Movie Training feature; master English skills with specialized courses; understand how English words are used and spoken in real life contexts with Word Hunt. 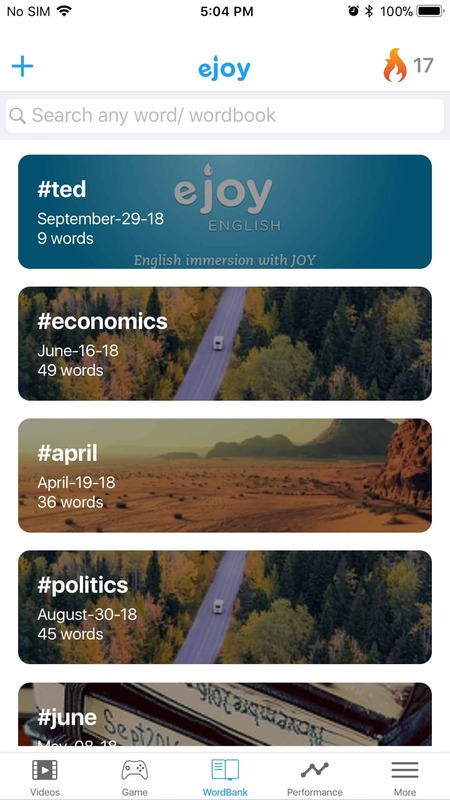 Chrome extension (eJOY English – Word Master): Look up new words and save them to wordbooks while watching videos on Netflix, Youtube or when reading news online. 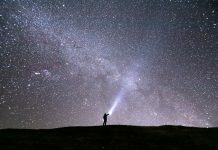 Search for videos that contain any saved word to see how that word is used in different contexts. 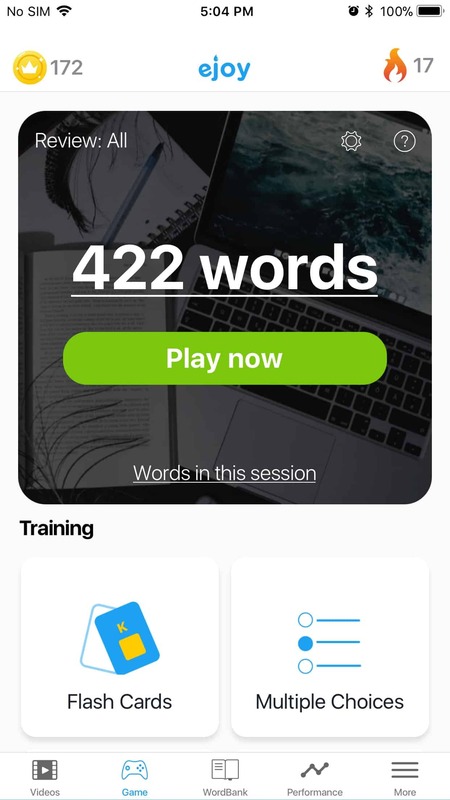 Master those words by playing games and track your vocabulary progress easily. All of the eJOY’s carefully-selected videos are inspiring, positive and diverse in topics, which doesn’t only help learners with English but also provides them with general knowledge in life and boosts their motivation each and every day. The videos are divided into different English levels. 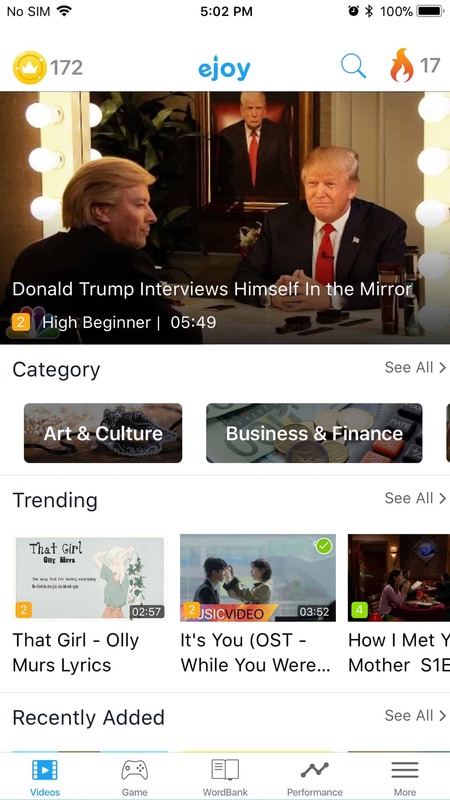 Therefore, you will easily find videos which are suitable for you. You can look up new words and save them to review later while watching any video. 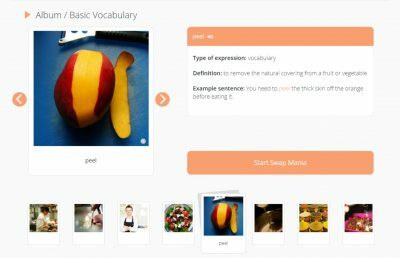 eJOY helps you to learn vocabulary in context instead of learning individual words. You’ll learn new words with real-life video contexts and examples to remember them better and understand how they are used in different situations. The 3 eJOY platforms – eJOY GO, eJOY app and và eJOY eXtension will be always synchronized to help you learn English anywhere and at any time. You can learn English on either your phone or your laptop. You’ll never get bored with interesting interactive games on eJOY. The Speak game on eJOY is designed using the voice recognition technology to help you with your pronunciation and speaking skills. eJOY will help you fully develop your language skills such as speaking, listening, writing, reading, grammar, vocabulary. You can even improve your presentation and negotiation skills with eJOY also. You design your word books on your own and track your vocabulary progress at any time you want. Pricing: it’s very affordable or even free if your needs are only to practice your English by watching videos and look up new words. Exercises: The speech recognition technology is of course not 100% accurate, which is understandable. There are no grammar and pronunciation exercises for beginners. Learners: It’s suitable for those who can learn the language independently without any help from other people because eJOY is a partner not an instructor of yours. 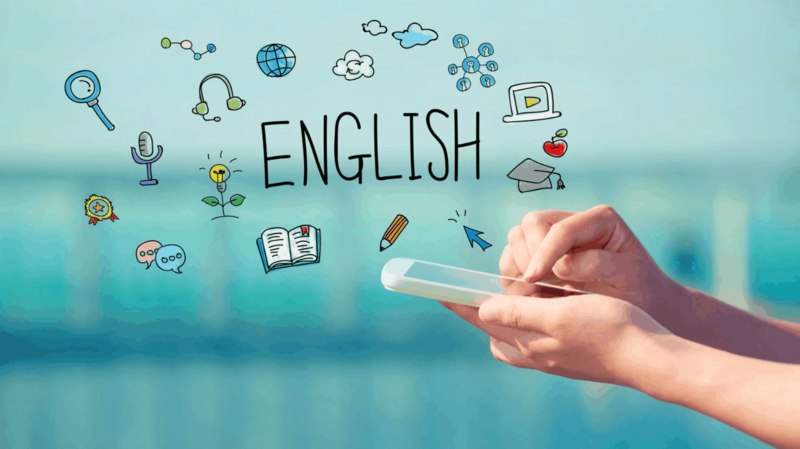 Therefore, ask yourself if you’re willing to learn English on your own before using eJOY. You should spend a set amount of time each day learning English with eJOY. Choose to watch your favorite videos to keep you motivated, and don’t forget that they should be not too easy or hard for you to follow. As a beginner, I think short videos level from 2-4 with length from (3-7 minutes) will be much better. The Dynamic Immersion method allows learners to develop their language skills in a natural way. 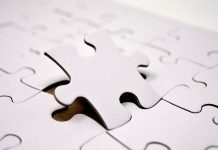 Grammar is taught intuitively along with other skills such as listening, reading, writing, speaking to help you learn grammar patterns naturally. You will learn new words and phrase based on different real-life contexts, which helps you to remember words instead of memorizing them. The adjustable speech recognition is quite reliable. Learners: it is a good fit for self-learners. Pricing: This software is quite expensive compared to other English learning tools, therefore, you should consider carefully before making the decision. 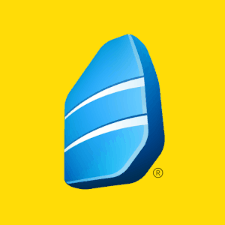 Rosetta Stone offers a free trial lesson to give you a taste for the way it teaches. You can give it a go and see if you like it. The on-screen keyboard in writing exercises is quite annoying to use. Lack of variety makes each exercise less of a challenge for learners. Language skills: There are a lot of repetitive and boring parts in Rosetta Stone. The software doesn’t let you customize the pace to your needs, which sometimes leads to a waste of time. Many learners have commented that Rosetta stone didn’t yet help them to fully develop all language skills. The courses are divided into three to five levels. There are four units per language level. Each unit has four core lessons that are about 30 minutes long. Each core lesson consists of lesson modes such as pronunciation, vocabulary, grammar, writing, listening, reading and speaking. These lesson modes are organized in a logical order which you should follow to get the most of it. Like Duolingo, you’ll practice your pronunciation using the speech recognition system and answer multiple choice questions. Mistakes are all welcomed and you’ll be the one who corrects those mistakes. Pricing: Free trial or $3 – $7 per month to get full access to different features. 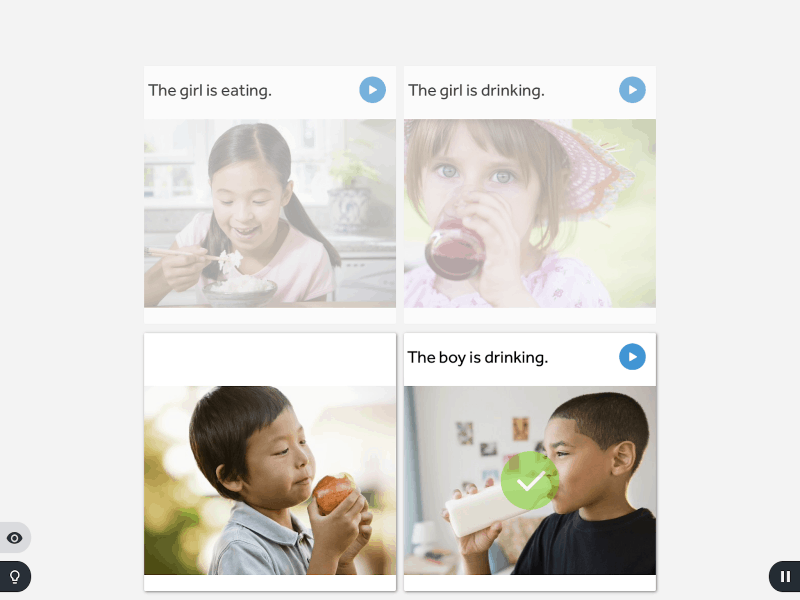 Special features: Learn vocabulary, grammar and basic conversations. 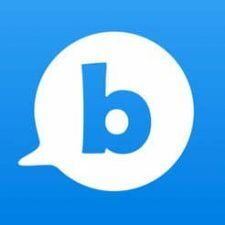 Busuu is an online social network that will enable you to learn a language on your own or with other learners. Each course on Busuu is developed using the CEFR (The Common European Framework of Reference for Languages). 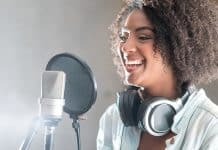 Featuring 150 different topics for each course, Busuu also provides learners with learning materials such as audio, podcast, pdf files to help them improve their pronunciation and vocabulary. 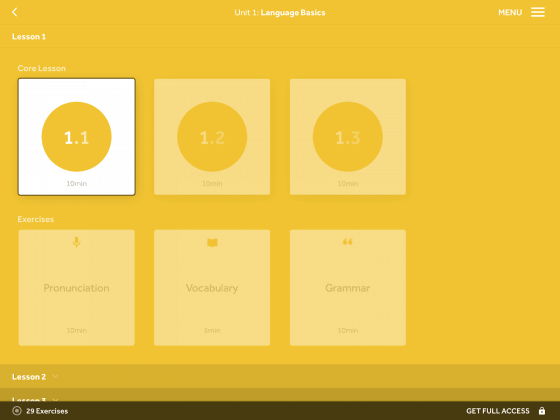 Besides English, you can also learn any of 12 different languages with free online courses on Busuu. 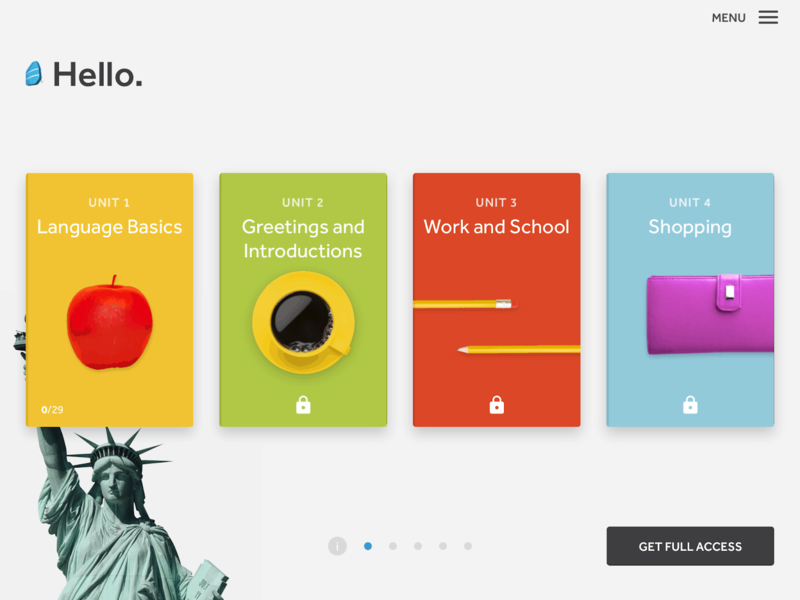 Busuu provides users with a variety of lessons based on common situations in real life. You’re offered a replacement test to check your English level. Language skills: Besides pronunciation and listening practice, learners are provided chances to practice their English with over 60 millions of users from all over the world. 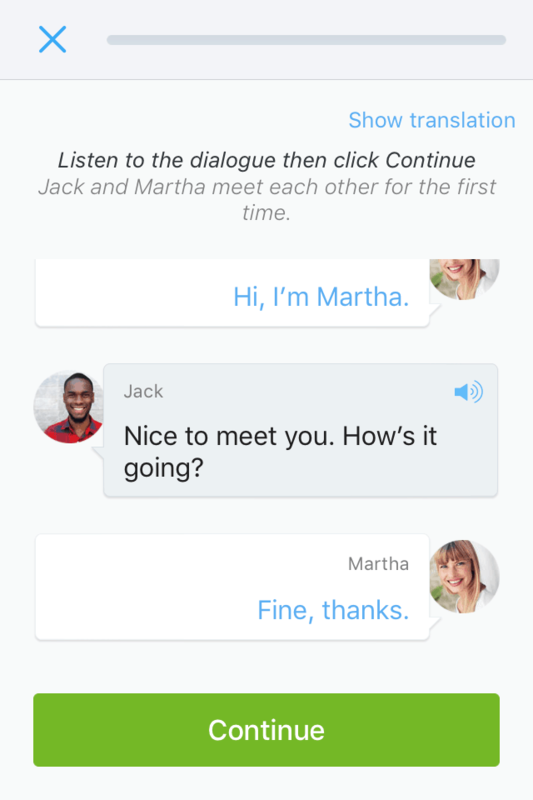 Busuu also provides interfaces for typing and speaking live with a native for free. So it’s really easy to have your writing or speech corrected by a native speaker, which is awesome. Some explanations, instructions, questions are not quite clear in some exercises. You learn English pronunciation with conversations and listening to how each word is pronounced. However, there are no exercises that help to check if you pronounce it correctly. Language skills: You practice listening with short sentences from different conversations and learn basic sentence structures. If you want to improve your speaking, pronunciation and writing, you should consider using Busuu together with another app, for example, eJOY English. Interface: Irrelevant ads annoy users sometimes. If your purpose of learning is to communicate in basic English, then start off with the Beginner A1 course. If you learn English for travel or business, then select the topic course that suits your needs: Travel course or English for Business. After completing a lesson, don’t forget to review your new words by practicing them regularly. You can say it out loud in front of a mirror or record your voice to see if you pronounce the words correctly. Pricing: Free or from $6 to $8 per month to get full access to features. Special features: learn English with videos and interactive games. 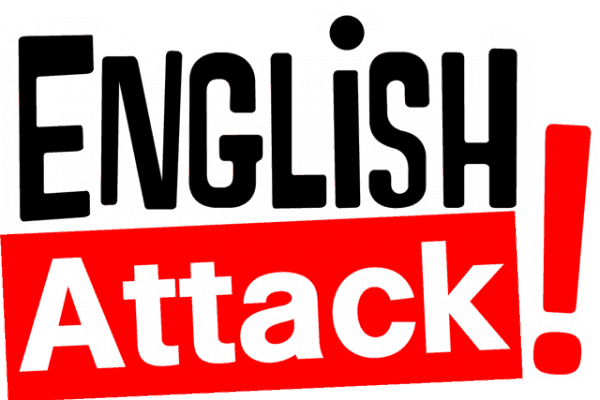 English Attack is an English learning website focusing on young English learners who are around 15-25 years old. 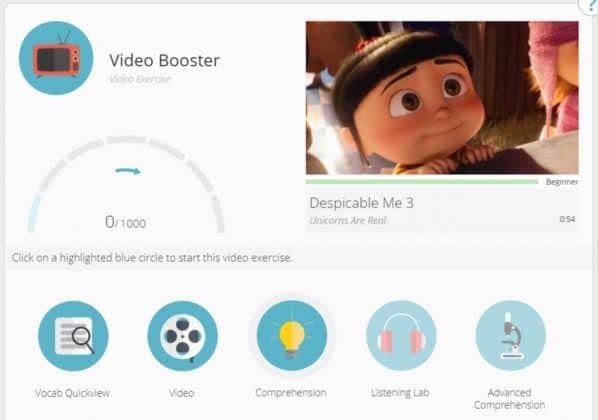 The given lessons combine video clips (movies,TV tv shows, music videos and news) and language games in an immersive learning experience to help learners improve their English in an exciting way. 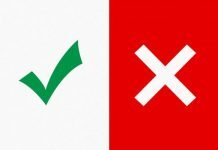 There is a replacement test to assess your English skills. The online visual dictionary makes vocabulary learning more interesting. Exercises: Exercises in every video clip is well designed. Learning report: You can easily review your newly learned phrases or sentence structures to track your progress. The visual dictionary doesn’t provide translation, pronunciation and word forms, which is not really useful for beginners. Language skills: English attack mainly focuses on improving some language aspects such as vocabulary, grammar and listening. There are very few exercises for free accounts. If you want to get full access to video clips and games, you need to upgrade to Premium. However, you might feel overwhelmed by a huge number of exercises if you upgrade to Premium. Think carefully before you make any decision. Take the placement test in order to evaluate your initial level of English right after you create an account. Don’t rush into exercises. Finish all the exercises (games). Never skip any of them. How to effectively learn English with an app. Step 1: Your learning purpose (goal) should be specific. For example, for communication, travel or exam purposes…. Step 2: Do some research into English learning apps for beginners and then try using some of them if possible. For me, as a beginner, I chose to use eJOY English and Duolingo. 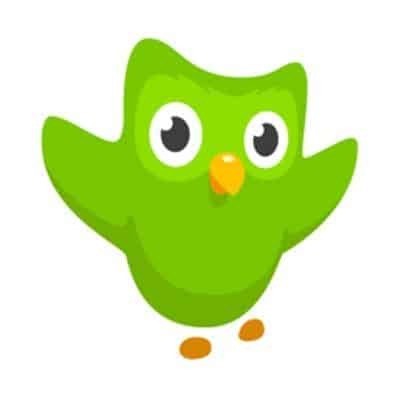 I used Duolingo to learn basic vocabulary and grammar, and learn simple sentence structures. Whereas, eJOY English helped me to improve my listening skills, pronunciation, and vocabulary. eJOY is such an amazing app that allows us to completely immerse in English with joy. My initial targets are to learn 200 basic words in the first 3 months and to be able to fluently introduce myself in English (name, age, interests, personalities, future plans). Moreover, I also set a goal to sing a simple English song without looking at the lyrics. You know, specific targets will keep you motivated all the time. Honestly, I don’t have a fixed schedule when it comes to learning English. On my first days learning English, I just felt like watching inspiring videos to kick start my day. Every morning, I spent around 30-1h watching videos on eJOY and learning new words. As a beginner, I tent to choose to watch short videos with basic vocabulary, and then gradually progressed to more difficult ones. In the evening, I learned grammar and vocabulary on Duolingo for 5-7 minutes and then spent around 10 more minutes practicing vocabulary games on eJOY to review new words. On the weekends, it often took me roughly 30 minutes to learn English with the song You are my sunshine and practice singing it. I always enjoyed such moments because they chilled me out. After that, I spent 1 hour playing games on eJOY and Duolingo to revise what I’d learned during the day. 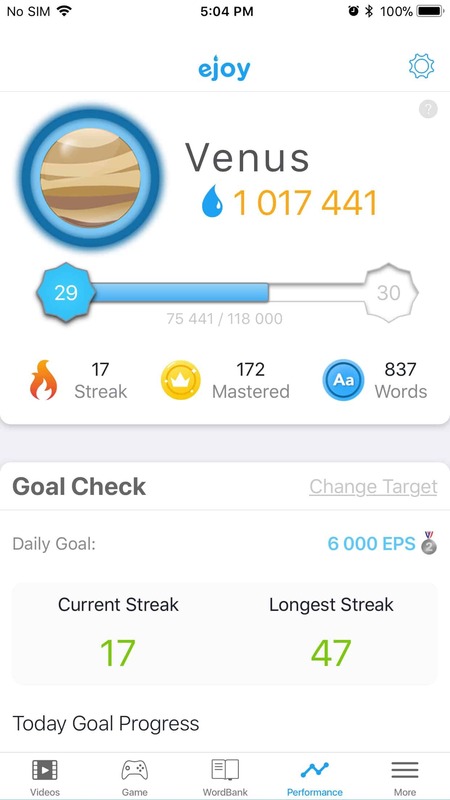 Mastering 200 basic words within 3 months required me to learn 15 words per week and 3 words per day. I think it’s quite suitable for beginners. 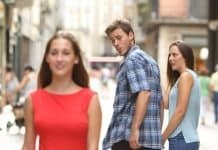 As you know, to be able to effectively communicate with others in English, we need to know not only the language but also the western culture. That’s why eJOY English is such a good choice. 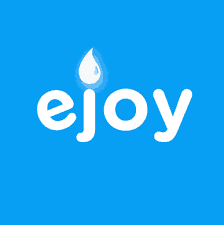 eJOY features various videos at different levels so don’t worry that you can’t find ones which suit your needs. Find an English speaking partner or self-practice in front of the mirror regularly to master English. Learning English with apps is a self-study method which requires learners to be self-disciplined. When you learn English on your own, there’s no curriculum, no textbook, no teacher to walk you through the steps. Lack of motivation and pressure may make you give up at any time. Therefore, to avoid this happening, you need to have a specific purpose and objective. My purpose of learning English is to communicate confidently in job interviews. As you can see, objective is actually a part of the purpose. Now, all what you need to do is sit down and ask yourself why you want to learn English. For example, you want to learn English for business purposes, to travel abroad or to communicate with others? After answering the WHY, write down what you will do to achieve that purpose. Specific objectives will keep you motivated. So I’ve just shared with you some of the best English learning apps for beginners. Now it’s your turn to try them out and then decide which one you’ll use to learn the language. Don’t forget to let me know your favorite learning apps and ask me any questions by leaving a comment below. Happy learning!